"Washington Home Inspector Home Inspection Training & Certification Services Seattle Washington, THE STANDARDS OF PRACTICE"
A SUBSIDIARY OF WARIES LTD. 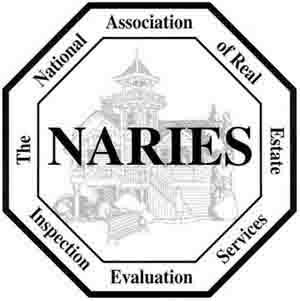 The National Association of Real-estate Inspection and Evaluation Services, N.A.R.I.E.S.ä , a for profit corporation, was established in 1998 as an association responding to the industry need to organize and place into one organization, related real estate professionals, particularly residential and commercial building inspectors and appraisers, so they may respond to the public and the real estate industry, regarding the physical conditions of residential and commercial sites, buildings and structures. More importantly, this should provide improved consumer knowledge about the building inspection and appraisal business through good communication, education, marketing and promotion. 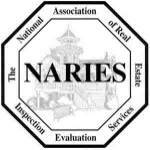 The mission of the National Association of Real-estate Inspection and Evaluation Services is to provide leadership, through the use of our Professional Standards of Practice and Code of Ethics and Professional Conduct, to develop the highest level of professional practice and industry excellence in the examination and inspection of real estate, including sites, buildings and other structures; provide training programs for certification and designations; provide public information regarding the examination and inspection of sites and buildings, particularly the consumer and homeowner, their inspectors and appraisers, and how to hire them. The association goal is to be dedicated to the advancement of knowledge to its members and consumers, about the examination and inspection of sites and buildings, including residences, commercial buildings, and structures, the related professions within the real estate and construction industry, and to be a professional association providing building inspection training, residential and commercial certification, support, education, resources for self-improvement, and opportunities for business for all of its members. No part of this publication may be reproduced, stored in a retrieval system, or transmitted in any form or by means electronic, mechanical, photocopy, recording or otherwise, without the prior written consent of the publisher. The mission of the National Association of Real-estate Inspection and Evaluation Services is to develop the highest level of professional practice and industry excellence in the examination and inspection of real estate including sites and buildings, or other structures. The following set of Standards of Practice including the examination and inspection of sites and buildings provide a professional site of inspection guidelines by which a building inspection should be done. The purpose of the real estate inspection is to provide a written opinion as to the apparent general condition of a site and/or building, its systems and components, mentioned in the report, and make any appropriate recommendation regarding the observable conditions at the time of the inspection. The report should be balanced and objective regarding each component and system, and include deficiencies therewith as they exist at the time of the inspection. A. Real Estate inspection is the provision of an opinion of the apparent, visible, general conditions of sites and buildings, their components, systems or parts thereof, including the identification of significant major deficiencies therewith, as they apparently exist at the time of the inspection. B. The STANDARDS OF PRACTICE are an outline of expected services, which establish the reasonable level of care provided in a Real Estate inspection by a NARIESä trained, certified, or professional member of the association. C. The STANDARDS OF PRACTICE are the identification of those components and systems, which are necessarily included as typically encountered in real property, as new or as improvements which are to be observed, the format from which the opinion should be made and requirements for reporting. D. The STANDARDS OF PRACTICE are a guideline describing the outline of limitations, exceptions and exclusions to a Real Estate inspection performed in accordance with these standards and accordingly inspections are not intended to be technically exhaustive or a substitute for the opinions of more qualified professionals or specialists. The inspector shall observe and report all components and systems which are normally included in the inspection, and all items which are excluded or not functioning, or otherwise in need of further evaluation. Further evaluations by specialists or more qualified professionals may be recommended. The reports will be presented in legible written format either as a narrative written report or a form style of written report. The inspector is not required to make any recommendations, however if the inspector concludes a recommendation be made, it is the decision of the inspector to make an appropriate recommendation. Required duty: Identify, provide an opinion, and make any appropriate recommendations about the observable conditions in the accessible areas at and above the surface of the site, yards and grounds. 1. Topography: Observe and describe the general topography for grading and drainage, and related deficiencies. Areas within 5 to 10 feet of the perimeter of the building are specifically inspected. 2. Flat Surfaces: Observe and describe the visible, installed hard surface structures including sidewalks, driveways, patios, entry steps and similar paved areas, and any related deficiencies. 3. Fences: Observe and describe the visible, installed fences including gates and any related deficiencies. 4. Landscaping: Observe and describe the visible, installed and naturally existing lawn, shrubs, trees and other plant life, and any related deficiencies. 5. Retaining Walls: Observe and describe the visible, installed retaining structures including walls, rockeries, embankments, etc. and any related deficiencies. 6. Built Structures: Observe and describe visible, installed freestanding structures including gazebos, decks, porches, platforms, unheated and powerless outbuildings, sheds, etc. and any related deficiencies. If items are excluded are observed at the site, they will be identified, located, and the exclusion shall be noted. 1. Examine or inspect sheds, outhouses, storage buildings, playhouses, other detached buildings or enclosures including waterfront structures, equipment, docks, piers, seawalls, etc. 2. Examine or inspect items below the surface of the site. 3. Operate or evaluate any drainage or irrigation systems. 4. Test anything or use special equipment during the inspection. 5. Examine or inspect items uninstalled, or natural and native landscapes and topography. 6. Examine or inspect anything not visible in the inspection or unsafe to examine and inspect. Required duty: Identify, provide an opinion, and make any appropriate recommendation about the observable conditions in the accessible areas at and above the surface of the roof including the roof covering, and related elements, and how they are observed. 1. Roofing Materials: Observe, locate and describe the visible, installed roof covering material including ridge covers, valleys, flashings, etc. and any related deficiencies. 2. Related Elements: Observe, locate and describe the visible, installed, related elements including vents, skylights, other roof penetrations through the surface, flashings, accessories, etc. and any related deficiencies. 3. Roof Drainage: Observe, locate and describe the visible, installed roof drainage system including built-in systems, gutters, downspouts, mounting hardware, etc. and any related deficiencies including any evidence of excessive ponding, insufficient slope, and obstructed drains. If items, which are excluded, are observed at the site, they will be identified, located and the exclusion shall be noted. 1. Walk over the surface of the roof. 2. Examine or inspect items below the surface of the roof covering including additional layers or attachments. 3. Examine or inspect Items inaccessible or unobservable including hidden guttering or subsurface function of drainage systems, or elements not located to safely inspect such as items which are too high above the roof covering, etc. Required duty: Identify, provide an opinion, and make any appropriate recommendation, about the observable conditions in the accessible areas at, above or adjacent to the surface of the exterior wall or roof, of the chimney and related elements. 1. Chimney: Observe and describe the visible installed chimney including masonry, mortar, framing and finish materials, top wash, flu liner and flashings, and any related deficiencies including clearance to combustibles, fire stopping and attachments for weakness or unstable conditions. 2. Related Elements: Observe and describe the visible installed related elements including chimney caps, spark arrestors, penetrations through the surface, flashings, and accessories and any related deficiencies. 1. Examine or inspect Items inaccessible or unobservable. 2. Walk over the surface of the roof. 3. Examine or inspect items below the surface of the roof or behind the wall covering such as hidden supports or attachments. 4. Examine or inspect items below the surface of the ground. 5. Examine or inspect items not located to safely inspect such as items which are too high above the roof or ground. Required duty: Identify, provide an opinion, and make any appropriate recommendation about the observable conditions in the accessible areas at the exterior walls. 1. Exterior Wall Coverings: Observe, locate and describe the visible installed exterior wall cladding including materials which are natural, artificial or manufactured, masonry walls either as structural walls or veneers, and stucco, and any related deficiencies. 2. Exterior Features: Observe, locate and describe the visible installed exterior wall features including overhangs, eves, soffits facias, built-in gutter systems, trim, etc. and any related deficiencies. 3. Exterior Doors and Windows: Observe, located and describe the visible, installed exterior doors and windows including energy efficiency measures and any related deficiencies. 4. Related Elements: Observe, locate and describe the visible, installed additional items other than decks, porches and balconies and included staircases and any related deficiencies. If items, which are excluded, are observed at the site they will be identified, located and the exclusion shall be noted. 2. Examine or inspect items behind the surface of the wall covering such as hidden supports or attachments. 3. Examine or inspect items below the surface of the ground. 4. Examine or inspect items not located to safely inspect such as items which are too high above the ground. 5. Operate or evaluate mechanical doors, windows, shutters, shades or awnings. 6. Examine or inspect any remote control devices or equipment. Required duty: Identify, provide an opinion, and make any appropriate recommendation, about the observable conditions in the accessible areas at decks, porches and balconies. 1. Exterior porches, decks and balconies: Observe, locate and describe the visible installed type of exterior deck, porch or balcony structure and materials, and any related deficiencies. 2. Deck Construction: Observe, locate and describe the visible installed deck, porch or balcony structures, including damage, deterioration, weakness, unstable conditions at the connections and members and any related deficiencies. 3. Related Elements: Observe, locate and describe the visible, installed related elements including flashings, ledgers, decking, railings, stairs, steps, supports, handrails, guardrails, footings, posts, columns, etc. and any related deficiencies. 2. Examine or inspect items behind the surface of the wall covering such as flashings, hidden supports or attachments. 3. Examine or inspect items below the surface of the ground such as footings and foundations. Required duty: Identify, provide an opinion and make any appropriate recommendations about the observable conditions in the accessible areas of the attic. 1. Access: Observe, locate and describe the visible, installed attic access and opening and any related deficiencies. 2. Construction: Observe and describe the visible installed attic structures including framing, sheathing, secondary support members and any related deficiencies. 3. Insulation: Observe and describe the visible installed insulation and any related deficiencies. 4. Ventilation: Observe, locate and describe the visible, installed ventilation systems and any related deficiencies. If items, which are excluded, are observed at the site they will be identified and the exclusion shall be noted. 1. Walk through the attic. The attic inspection may be limited to an observation from the attic access opening or a safe, observable walking surface. 2. Examine or inspect areas inaccessible, unobservable or inspect items below the surface of the insulation because of safety and damage to ceilings. 3. Examine or inspect Inaccessible areas including low clearance or obstructed areas. 4. Determine fire resistance of materials. 5. Determine energy efficiency of any insulation. 6. Calculate any attic ventilation of areas or locations. Required duty: Identify, provide an opinion and make any appropriate recommendations about the observable conditions in the accessible areas of the interiors and related items. 1. Walls, Ceilings and Floors: Observe and describe the visible finished surfaces of installed walls, floors and ceilings, and any related deficiencies including evidence of water penetration, leaks, etc. and apparent low ceilings. 2. Doors and Windows: Observe, locate and describe the visible finished surfaces and the operation and condition of doors and windows, and any related deficiencies including evidence of water penetration, leaks, etc. and apparent damage to energy efficient window seals and door seals. 3. Stairs and Handrails: Observe, locate and describe the visible installed stairs and handrails, and any related deficiencies including evidence of damage, insecure and unsafe openings in or heights of handrails or missing railings, parts and pieces. 4. Cabinets and Countertops: Observe, locate and describe the visible cabinets, countertops and related items including finished surfaces, the operation and condition of cabinet doors, drawers, lazy susans, etc. and any related deficiencies including the insecure attachment of permanently installed cabinets and shelves on the floor or the wall, and any related deficiencies. 5. Room Ventilation and Exits: Observe, locate and describe the visible installed bathroom and bedroom ventilation including fans or windows, means of egress through bedroom windows and any related deficiencies. 6. Safety Glazing: Observe, locate and describe the visible installed safety glazing or glass which is not safety glazing in locations subject to human impact and any related deficiencies. 7. Attached Garages: Observe and describe the visible installed walls, ceilings, floors and doors including vehicle doors and hardware, their operation and any related deficiencies. 8. Fire Resistive Walls: Observe, locate and describe the visible installed fire resistive walls ceilings, floors and doors between garages and/or carports and the habitable areas of the dwelling, and any related deficiencies. 9. Hidden Areas: Observe, locate and describe any room or area of space, which should be inspected and is inaccessible by the inspector and any related deficiencies. 1. Examine or inspect areas, which are inaccessible or unobservable. 2. Examine or inspect items behind the surface of walls, floors or ceilings. 3. Operate any security devices including items required by local, state or federal law. 4. Examine or inspect security systems or other methods to prevent forcible entry. 5. Examine or inspect the conditions of walls, floors, ceilings, etc. for conditions other than for support or water penetration and entry. 6. Examine or inspect the acoustic or fire resistive characteristics of walls, floors and ceilings either as separation walls between units or otherwise. 7. Examine or inspect the conditions of concrete slabs, concealed, visible or otherwise. 8. Operate or evaluate any security features including vehicle door operations and alarm systems. Required duty: Identify, provide an opinion and make any appropriate recommendation about the observable conditions in the accessible areas of the electrical system and related items. 1. Service Entrance: Observe, locate and describe the visible installed wires and cables to the service entrance, service wire attachments and structures including weather head, masts and supports, etc. and any related deficiencies including insufficient clearances, insecure attachments to buildings and poles, missing, damaged or broken parts and improper meter installation. 2. Panels: Observe, locate and describe the visible installed electrical panel and sub panels for accessibility, installation, amperage rating and voltage, and any related deficiencies including the lack of screws, open breaker spaces in the face, holes, grounding and improperly sized panels. 3. Panel Interiors: Observe and describe the visible panel interior including its cleanliness, the presence of moisture, humidity and water, rust and corrosion, and any related deficiencies including the lack of entry seals and other holds, etc. 4. Panel Equipment: Observe and describe the visible installed electrical equipment including wiring type, size and material of main service wires and circuit wires, grounding, the rated amperage of breakers, fuses and fuse-stats, and any related deficiencies including improper overload protection and wiring compatibility for breakers, fuses and fuse-stats, double tapping of the breakers, missing grounding, etc. 5. Wiring: Observe and describe the visible installed electrical wiring throughout the building and wiring between the primary building and its associated structures including parking structures, storage, playhouses and any related deficiencies including improper installation, unprotected wiring, and open wires, etc. 6. Switches, Receptacles and Fixtures: Observe, describe and check the functionality, including any GFCI receptacles with its respective test button, the visible installed electrical switches, receptacles and fixtures, and any related deficiencies including missing plates, open junction boxes, loose visible wires and improperly mounted fixtures etc. 7. Smoke Detectors: Observe, locate and describe the visible installed smoke detectors and any related deficiencies including the absence of smoke detectors in appropriate areas and deficiencies with location or operation. 8. GFCI Equipment: Observe, locate and describe the visible installed GFCI receptacles and any related deficiencies including the absence of GFCI receptacles in appropriate areas and deficiencies with location operation. 3. Operate any electrical equipment or appliances. 4. Examine or inspect electrical systems which are disconnected or shut-down. 5. Examine or inspect panel interiors, if in the opinion of the inspector, the panels are physically inaccessible or if removal of the cover could cause physical damage or pose a safety hazard. 6. Examine or inspect the operation of overload protection devices. 7. Examine or inspect every receptacle, switch or fixture or remove their respective covers. 8. Determine the compatibility of breakers or fuses with the panel board. 9. Evaluate smoke and fire detectors or test them when access would require a ladder or steps. 10. Evaluate secondary power sources. 11. Evaluate the attachment of any electrical equipment or devices. 12. GFCI receptacle with anything other than the manufacturers test button. 13. Examine or inspect emergency/backup electrical power sources including generators, windmills, solar collectors, battery or other electrical storage facilities. Required duty: Identify, provide an opinion and make any appropriate recommendation about the observable conditions in the accessible areas of the permanently installed heating system and related items. 1. System Information: Observe, locate and describe the visible installed heating unit, determine the size, method of distribution, identify its fuel type and location of thermostats, room outlets or lack thereof. 2. Heating Units: Observe and describe the visible installed heating unit and installation including filters or electronic air cleaners, clearances, operation using normal thermostatic controls, functional distribution at individual room outlets, and any related deficiencies or signs of a malfunctioning system including burner flame impingement or evidence thereof, improper flame color or patterns, evidence of soot, rust, minerals or corrosion at the exterior or inside the unit. 3. Vent Pipes, Connections and Draft Diverters: Observe and describe the visible installed flu ventilation systems, joints, connections and draft diverters and any related deficiencies including improper installation and clearances, broken or missing parts and pieces, evidence of soot, rust, minerals or corrosion at the exterior of the ventilation system. 4. Return and Combustion Air: Observe, locate and determine the separation of the combustion and return air and any related deficiencies. 5. Electrical Disconnects and Shut-off Valves: Observe, locate and describe the visible installed electrical disconnects, controls and shut-off valves, or the lack thereof, and any related deficiencies including observable, improperly installed or defective electrical disconnects or shut-off valve. 6. Energy Source: Observe, locate and describe the visible installed energy source to the units, and any related deficiencies including loose connections at the unit, leaks, flimsy, improperly installed or unsupported fluid lines and related deficiencies. 7. Distribution System: Observe, locate and describe the visible installed distribution system including ducting, duct insulation, vents, piping systems and related valves and any related deficiencies including poorly installed broken or missing parts and supports, leaks, and non-functioning distribution at individual rooms. 8. Over Temperature and Pressure Relief Valves: Observe, locate and describe the visible installed valve types, BTU ratings, drain materials, installation and termination and any related deficiencies including missing valves and drains, improper installation, and improper drain terminations. 1. Examine or inspect any heating system that has been shut down, disconnected, the source of energy shut off, or is not ready to start using normal user controls including unit pilot lights or lack of energy. 2. Dismantle any heating system or related items. 3. Determine the projected life expectancy of any heating unit or related items. 4. Determine adequacy, uniformity or balance of heat supply to rooms or buildings. 5. Determine the leakage in any duct work. 6. Evaluate the safety and condition of heat exchangers. 7. Testing of any kind of furnaces, heat pumps, heating elements, fluid or gas materials or lines. 8. Examine or inspect fuel tanks, above or below ground. 9. Examine or inspect below ground/slabs systems, ducts, fuel tanks and related items. 10. Determine the adequacy of thermostat calibration, heat anticipation, automatic setbacks or clocks. 11. Examine or inspect radiant or geothermal heat pump heating systems, solar space heating, and humidifying or dehumidifying systems. 12. Determine the functional conditioner effectiveness of electronic air filtering and cleaning systems. 13. Operate heat pump systems when the ambient air temperature may cause damage to the equipment, or operate the system when it is in the "emergency" heat mode. Required duty: Identify, provide an opinion and make any appropriate recommendation about the observable conditions in the accessible areas of the permanently central cooling systems and related items. 1. System Information: Observe, locate and describe the visible installed cooling and air handling equipment, the size, method of distribution, identify its fuel type, location of thermostats and room outlets or lack thereof. 2. Cooling Units and Air Handling Equipment: Observe and describe the visible installed cooling unit and air handling equipment and installation including clearances, operation using normal thermostatic controls, function at individual room outlets, air filters, and any related deficiencies or signs of a malfunctioning system including no air, hot air and air filters which are missing, excessively dirty, deteriorated, improperly fitting or inoperable. 3. Electrical Disconnects and Shut-Off Valves: Observe, locate and describe the visible installed electrical disconnects, controls and shut-off valves or the lack thereof, and any related deficiencies including improperly installed or observable defective electrical disconnects or shut-off valves. 4. Energy Source: Observe, describe the visible installed energy source to the units and any related deficiencies including loose connections at the unit leaks, flimsy, improperly installed or unsupported fluid lines and related items. 5. Coolant Lines: Observe, locate and describe the visible installed coolant lines, piping and insulation, and any related deficiencies including damage, leakage or evidence of deteriorated insulation and lines, flimsy, poorly installed and unsupported lines. 6. Condensate Lines: Observe, locate and describe the visible installed condensate lines, installation and the slope and terminations of visible portions, and any related deficiencies including damage, leakage or evidence of deteriorated lines, flimsy, poorly installed and unsupported lines, improper slope, traps and terminations. 7. Distribution System: Observe, locate and describe the visible installed distribution system including ducting, duct insulation, vents, piping systems, related valves and any related deficiencies including poorly installed, broken or missing parts and supports, leaks, and non-functioning distribution at individual rooms. 1. Examine or inspect any cooling system that has been shut down, disconnected, the source of energy shut off, or is not ready to start using normal user controls. 2. Operate heat pump systems when the ambient air temperature may cause damage to the equipment, or operate the system when it is in the "emergency" heat mode. 3. Dismantle any cooling system or related items. 4. Determine the project life expectancy of any cooling system or related items. 5. Determine the leakage in any ductwork. 6. Evaluate the safety and condition of heat pump systems. 7. Testing of any kind to electrical current draw, coolant fluids or gas materials. 9. Determine the operation and effectiveness of condensate drainage systems. 10. Determine the operation and effectiveness of any electronic air filtering system. 11. Determine the adequacy of thermostat calibration, cooling anticipation, automatic setbacks or clocks. 12. Examine or inspect below ground/slabs systems, ducts, energy sources and related items. 13. Examine or inspect gas fired, solar or geothermal cooling systems and related items. 14. Examine or inspect humidifying or dehumidifying systems and related items. 15. Examine or inspect window or wall mounted (non-central) cooling unit. 16. Examine or inspect food, wine or similar cooling systems. Required duty: Identify, provide an opinion and make any appropriate recommendation about the observable conditions in the accessible areas of the permanently installed plumbing systems and related items. 1. Supply, Waste and Vent Piping: Observe, locate and describe the visible installed supply waste and vent lines within the building or on the exterior surface and any related deficiencies including leaks, improperly installed and unsupported lines, mismatched materials, failed installations and drain trap siphonage. 2. Fixtures: Observe, locate and describe the visible installed fixtures including fixtures, faucets and drains within the building or on the exterior surface, water flow and drainage, and any related deficiencies including missing, loose, cracked, damaged or malfunctioning fixtures, faucets and valves, improper orientation of hot and cold water faucets and valves, slow or lack of water flow, drainage and any related items. 3. Shut-Off Valves: Observe, locate and describe the visible installed main shut-off valve, fixture and appliance shut-off valves, within the building and any related deficiencies including missing, loose, cracked, damaged or malfunctioning valves and related items. 4. Sewage Ejectors: Observe, locate and describe the visible installed waste and/or sewage pumps within the building and any related deficiencies including missing, loose, cracked, damaged or malfunctioning parts or related items. 5. Back-Flow, Anti-Siphon and Cross Connections: Observe, locate and describe the visible installed back-flow and anti-siphon devices and any real or potential cross connections between potable water systems and any contaminant where applicable and any related deficiencies including the lack of or improperly installed and observable deficiencies with back-flow and anti-siphon devices, air gaps and shut-off valves. 6. Pressure: Observe and describe the visible water pressure within the building or on the surface of the exterior, wherever it was tested and any related deficiencies including insufficient or excessive water pressure. 7. Gas Piping: Observe, locate and describe the visible installed gas piping, appliance and fixture shut-off valves, where applicable, piping and appliance connectors, and any related deficiencies including leaks detected by olfactory means only and without prejudice. 1. Examine or inspect the operation of the main, or any appliance or fixture shut-off valves. 2. Examine or inspect any appliance, system or fixture which is shut-off or disconnected. 3. Examine or inspect any water supply or pressure assisted system including, but not limited to, wells, pumps, tanks and related equipment. 4. Determine the functional flow where the end is capped or is connected to an appliance. 5. Measure water volume or temperature. 6. Use a water pressure gauge on hot water systems or where a faucet does not have a garden hose bib. 7. Test private sewage disposal systems including, but not limited to septic tanks and/or any underground (manmade or otherwise) system, or portion thereof, and rain or water ejector pumps. 8. Determine the potability of water. 9. Determine compliance with local or state conservation energy standards. 10. Design or size any water supply, waste or venting components, fixtures or piping. 11. Determine whether water supply or disposal is public or private. 12. Examine or inspect systems such as, but not limited to, solar water and heating systems, yard sprinkler or irrigation systems, water softening, conditioning or filtering systems, swimming pools, spas or saunas and related equipment or fire sprinkler systems. 13. Test shower pans for leakage or fill any fixture with water during operation or observation. 14. Examine or inspect gas supply systems for leaks, however, any leaks detected during the inspection may be reported with prejudice. 15. Operate any valve which in the inspectors opinion may leak when operated. 16. Determine the effectiveness of anti-siphon, back flow prevention or drain stop devices. 17. Examine or inspect clean out devices or whether there is a sufficient quantity. 18. Examine or inspect gas, liquid propane or oil storage tanks. Required duty: Identify, provide an opinion, and make any appropriate recommendation about the observable conditions in the accessible areas of the permanently installed water heating systems and related items. 1. Tank, Controls, Related Items: Observe, locate and describe the visible installed hot water tanks, capacity, fuel type, controls, covers, combustion chamber and burners (when visible), water, gas and electric connections, and any related deficiencies including excessive rusting, leaking, improper combustion, broken or missing parts, covers and/or controls and supplies of water, gas or electricity including lack of warm water or excessive water temperature. 2. Over Temperature and High Pressure Relief Valve: Observe and describe the visible installed hot water tank over-temperature and high pressure relief valve, drain materials, installation and termination, and any related deficiencies including a missing valve, improper installation of the valve and drain. 3. Combustion and Ventilation Air: Observe and describe the visible installed ventilation type and any related deficiencies including the lack of ventilation and combustion air supply. 4. Vent Pipes Connections and Draft Diverters: Observe, locate and describe the visible installed flu ventilation systems, joints, connections and draft diverters and any related deficiencies including improper installation, termination and clearances, broken and missing parts and pieces, evidence of negative drafting, soot, rust, minerals or corrosion at the exterior of the ventilation system. 5. Seismic Restraining Device: Observe, locate and describe the visible installed seismic restraining device and any related deficiencies including missing restraints, or improperly installed or weak restraints. The inspector is not required to perform any engineering, instrusive inspecting, testing or provide an opinion of the legality of the installation. 6. Shut-Off Valves: Observe, locate and describe the visible installed water shut-off valves, and any related deficiencies including missing valves, improperly installed or defective shut-off valves. 1. Determine water heating potential, capacity or adequacy. 2. Project the life expectancy of the system. 3. Determine time required to obtain hot water at the fixtures. 5. Examine or inspect hot water recirculation system. 6. Examine or inspect electric water heater elements. 7. Gain access to tank by removing any insulation blankets or personal items. 8. Examine or inspect solar water heating systems or related items. 9. Measure hot water volume, pressure or temperature. Required duty: Identify, provide an opinion and make any appropriate recommendation about the observable conditions in the accessible areas of the permanently installed crawl space and/or basement and related items. 1. Footings and Foundations: Observe, locate and describe the visible installed footings and foundations, including concrete slab-on-grade, and related items including wood framed and metal framed structures and any related deficiencies, including missing footings and foundations, irregular designs, cracked, broken and settled or deformed foundation walls. 2. Framing: Observe, locate and describe the visible installed floor, stair and platform framing and related items including posts, columns, beams, floor joists and sub-floors, etc, and any related deficiencies including the absence of anchorage of framing to the foundation, or if it is not visible, the presence of unbraced or unblocked exterior foundation cripple walls, and the presence of unconnected posts, and concrete piers on exterior foundation walls. 3. Access: Observe, locate and describe the visible installed access opening and accessibility, and any related items including the access cover and related items and any related deficiencies including areas which were not accessible or observable and why. 4. Ventilation: Observe, locate and describe the visible installed ventilation system and any related deficiencies. 5. Drainage and Vapor Barriers: Observe, locate and describe the visible installed vapor barriers, drain systems and sump pumps and any related items including drain pipes, trenching and gravel, and any related deficiencies including actual or evidence of flooding, dampness and excessive moisture or humidity and malfunctioning draining systems. 1. Enter any under floor area with less than 18 inches high by 24 inches wide entrance, and less than 18 inches beneath any beam and 24 inches beneath any floor joist. 2. Enter areas, which are flooded, contain hazardous conditions or materials which pose a threat to the life, health and safety of the inspector. 3. Move items in storage or otherwise, vegetation, materials and debris, ducts, pipes or other obstructions, or perform any excavations or other intrusive actions to gain access including the removal of materials by force or unsafe ways. 4. Operate any sump pumps, drain systems, sewage disposal systems or other related items. 5. Report the specific size, spacing, location or adequacy of any foundation bolting, and any bracing and reinforcement systems. 6. Perform any testing or inspection requiring intrusive actions or equipment, but not limited to damage materials, using probes, special meters or gauges. 1. Inspections which are done according to these Standards of Practice are of the readily accessible areas of the included items, components and systems to determine if, at the time of the inspection, they are performing their intended function and purpose, are entirely visual in nature and not technically exhaustive. 2. These Standards of Practice are a minimum set of standards for a written building inspection report performed by a member of the National Association of Real-estate Inspection and Evaluation Services (N.A.R.I.E.S.). 3. Inspections which are performed under, or by using these Standards of Practice are not an expressed or implied warranty or guarantee of any kind, or a guarantee of the adequacy, performance or useful life of any item, component, system or related item of any kind, in, on or around and about the inspected property. 4. These Standards of Practice are applicable to buildings of four or less dwelling units, including their garages and carports, whether attached or not. 1. Report on the life expectancy of any component, system or item. 2. Determine the causes for the need of repairs or replacements. 3. Specify or describe methods, materials and costs of repair or replacements. 4. Specify or describe procedures for repair or replacement. 5. Determine the suitability of the property for specialized or other intended purposes. 6. Research the history of the property or any public records. 7. Report on the potential of the property for other intended use, purpose or occupancy. 8. Report on its potential for alterations, remodeling, additions or other forms change or modifications including extendibility. 9. Report on the compliance or non-compliance of with applicable codes, ordinances, regulations, covenants, or other restrictions and limitations including local interpretations thereof. 10. Determine the market value or marketability of a property. 11. Provide any information regarding the advisability or inadvisability to purchase the property. 12. Report on any system that was not observed. 13. Report on the presence or conditions and conducive conditions related to the presence of animals including rodents, insects, wood destroying organisms such as termites, carpenter ants, and beetles, other organisms, molds mildew, fungus, etc. 14. Report on environmental hazards or conditions including, but not limited to toxic, reactive, combustible, and/or corrosive and/or other contaminants including, but not limited to asbestos, radon, urea formaldehyde lead, chlordane, PCBs, electromagnetic fields, carbon monoxide, carbon dioxide, sulfur agents, etc. 15. Report on building conditions, components, systems or any parts thereof that are not permanently installed. 16. Report on the cosmetic conditions or aesthetic appearance. 17. Report on any use, functionality or conditions of underground conditions or underground conditions of components, systems or parts thereof or any other items. 18. Offer or provide any acts or services, which are contrary to the law. 19. Provide other professional services including, but not limited to architectural, structural, geological, hydrological or soils stability, or any other professional engineering services or other types of service requiring a government issued professional license or certificate. 20. Provide any services, professional or a specialty, which would violate or break the law, ordinance or regulation. 21. Provide any calculations regarding the strength, adequacy or efficiency of any system or component including recreational, hobby or children’s play facilities. 22. Enter any areas or provide procedures, which may damage the property, its components or systems or be hazardous and dangerous to the inspector or other persons. 23. Inspect systems or components which are inoperable or shut down. 24. Inspect systems or components, which do not respond to normal operating controls. 25. Move any personal items or other obstructions including, but not limited to furniture, wall, floor and window coverings, equipment, soil, snow, ice, water, debris, foliage, other plant life and anything else which obstructs access and visibility. 26. Report on life expectancy or any future conditions of components or systems. 27. Report on operating and maintenance costs of any components or systems. 28. Provide costs estimates of any kind including, but not limited to, maintenance, repair, replacement or operating costs. 29. Report on the acoustic and other nuisance characteristics of a neighborhood, unit, system or component parts thereof. 30. Report on the common areas of condominiums, systems, components or parts thereof including, but not limited to any common interest developments. 31. Identify or report on hidden or latent deficiencies. 32. Dismantle any systems or component or part thereof. 33. Perform any form of intrusive or destructive inspection, testing or analysis. 34. Report or review any information from third parties including, but not limited to sellers, brokers, agents, occupants, attorneys, managers, neighbors, contractors, or any other source of information. 35. Probe or intrude into any surface or component. 36. Use any special equipment for testing or measurement. 37. Evaluate the fire resistive qualities or rating of any building areas, systems components, or parts thereof. 38. Operate or evaluate any electrical equipment whether low voltage or not, including systems, motion sensing, photo-electric computers, radio controls, telephones, remote controls, etc. or other such devices, systems or components. 39. Report on the age of construction of any addition or installation or the difference in ages of additions, renovations or replacements, of an original building its components, systems or parts thereof. 40. Observe each and every individual component of an individual system, where they are replicated including, but not limited to, doors, windows switches, and receptacles when the purpose of the inspection is to determine the general condition of such components and systems. NOTE: Definitions of these terms may apply to derivatives when found in the text. Anything that can be safely observed approached or entered without undue difficulty or damage. Operation of fundamental systems or components such as furnace thermostats. A part of a system or any of its individual elements. Circumstances or situations which affect observations such as occupancy, contents of the property, construction, hazards, obstructions, weather. Inadequate or insufficient to perform its intended fundamental purpose. To dismantle any component, part or system which is not done by any ordinary person during the course of normal maintenance, especially if it requires demolition, damage or probing. The existence of any condition which would lead the ordinary person to believe it to be a certain particular condition. A reasonable supply flow of water when two or more fixtures are operated simultaneously at the same time; a reasonable drainage flow of water when two or more fixtures are operated simultaneously at the same time without overflowing. Performing the intended purpose when installed in its fundamental way. Any further inspections or consulting which are beyond the scope of these Standards of Practice. The state of the overall observable condition of the majority of surfaces, random testing or operations of individual components or systems. Ground fault circuit interrupter – an installed device used to interrupt the electrical flow of energy whenever there is a load imbalance or a current to ground condition which could electrocute someone. Normally installed near water sources wet or damp locations. Spaces used for living not including bathrooms, hallways, storage areas or similar utility spaces. A person who performs real estate inspections and provides an opinion of its condition. A deficiency which is not normally observable because it is either hidden or concealed from view. It cannot be observed or discovered by reasonable and customary inspections. Failing to perform the intended purpose when installed in its fundamental way. Any instrument sued to for taking measurements including rules, levels or gauges. Any individual who belongs to this association. Devices which do not require specialized skills or knowledge to operate. To see or notice with the eyes with normal sight or visual senses. A visual condition which can plainly be seen with the eyes with normal sight or visual senses using ordinary care and practice. That which is easily observed or understood by any ordinary person. To perform a function causing systems or equipment to operate using normal user controls. Functional systems or equipment which are active and capable of safely operating using normal user controls. Placed by typically using nails, screws, bolts, or positioned in such a way that it cannot be removed or replaced without using special devices, equipment or tools. This does not include systems or components which are portable, freestanding or readily movable. The building the inspector had been hired to inspect exclusive of all other buildings. The detached parking structure may be included. The included parking structure such as the attached or detached parking structure or carport, the inspector had been hired to inspect exclusive of all other buildings. An opinion and description of a subject, system, component or piece of real estate and related findings and conclusions. A selection of items which are typical of the group of components. Turned off, not operating or functioning. Items which the inspector may consider to be important, meaningful or of concern to the ordinary person. Tools and equipment or devices which the inspector, using ordinary care and practice, does use in connection with performing their inspections. Tools, equipment or devices requiring special knowledge, have scientific purpose or limited use. Areas of glass or items of glass which are in hazardous locations. A group of interacting, interrelated or independent components functioning as a whole. Extensive use of special equipment, testing, tools, research, calculations, and the use of related measuring devices used for the purposes of a detailed report. A. Every building component or system or part thereof which is not inspected or is not included in the inspection and report, shall be identified, located and the specific statement confirming this shall be written indicating it is not included, and is excluded from the inspection and the report and with reasons for the exclusion. This situation may exist when it is not included as a normal item in the inspection, inaccessible, concealed from view, or cannot be inspected for reasons beyond the control of the inspector, or the client has agreed it should not be inspected. B. These Standards of Practice are not intended to limit or prevent an inspector from providing further services beyond the limits of these Standards of Practice. Additional services should only be performed providing the inspector is experienced, qualified or appropriately licenses or certified where applicable for these additional services and procedures. At this time, enforcement is voluntary. At a future date, a Board of Directors shall provide a procedure of enforcement of this code. At this time, members or candidates who fail to comply with the mandatory standards, may be disciplined by the President of the Association, including suspension or termination either permanent or temporary.